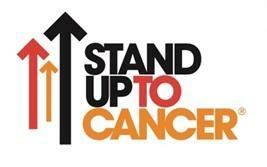 CHICAGO – April 15, 2018 — Stand Up To Cancer announced a $10 million award to a Stand Up To Cancer Dream Team focused on revolutionizing the treatment of multiple myeloma, an incurable blood cancer of plasma cells, through early detection of precursor conditions before they turn into full-blown disease. "We tell people with precursor conditions that we will 'watch and wait' until it turns into multiple myeloma, with multiple tumors that can potentially cause organ damage," Dr. Ghobrial said. "That's like telling people with breast cancer or colon cancer that we are not going to do anything until the cancer metastasizes throughout the body." "We want to change that," she said. The announcement of the new SU2C Multiple Myeloma Dream Team was made at a special event during the 2018 Annual Meeting of the American Association for Cancer Research (AACR), SU2C's Scientific Partner. The Dream Team is the 23rd announced by SU2C since its inception in 2008 and the first SU2C Dream Team devoted entirely to a hematologic malignancy. "This Dream Team significantly expands our Stand Up To Cancer portfolio," stated SU2C President and CEO Sung Poblete, PhD, RN. "These efforts embody the central hallmarks of Cancer Interception, as the scientists are seeking the earliest possible diagnosis of MGUS or SMM, and then proactively intervening to stop the progression of multiple myeloma." "This Dream Team's work has the promise of significantly changing the way we approach multiple myeloma," said Phillip A. Sharp, PhD, institute professor at the Massachusetts Institute of Technology (MIT), Nobel laureate, and chair of SU2C's Scientific Advisory Committee. "This is the type of forward-looking research that Stand Up To Cancer is very glad to support." Viktor A. Adalsteinsson, PhD, group leader, Blood Biopsy Team at the Broad Institute. Multiple Myeloma (MM) is an incurable cancer of the plasma cells. Almost all patients diagnosed with MM have had one of two precursor conditions called monoclonal gammopathy of undetermined significance (MGUS) or smoldering multiple myeloma (SMM) before their disease has caused damage to organs such as bone lesions, fractures and kidney failure. However, most patients are not diagnosed with these precursor conditions because there is no routine screening for them. MGUS is a very common condition that affects 3 percent of the general population aged 50 years or older. Risk increases with age. It is three times more common in African-Americans and presents at an even younger age in this population. Unlike expensive and controversial screening studies for other cancers, MGUS can be screened for by a simple blood test. However, this has not been the practice to date. The SU2C Multiple Myeloma Dream Team revolves around a simple idea: to screen individuals who are at high risk of developing MGUS/SMM. By identifying them early, the Team can possibly develop therapies that prevent myeloma, making myeloma a cancer that can be prevented by early screening and interception. The hypothesis of this proposal is that early detection of MGUS/SMM in a high-risk population, along with a good understanding of the molecular and immune factors that lead to disease progression, will lead to effective strategies that intercept disease progression and improve survival. The Dream Team proposes to conduct a screening study of individuals over the age of 45, who are at a high risk for having MGUS or SMM, such as African-Americans and individuals who have a first-degree relative that has been diagnosed with a plasma cell disorder. This study will be called the PROMISE study. We will focus on these populations because they are two to three-fold more likely than others to have these precursor conditions. The Team expects to screen 50,000 individuals to obtain 3,000 MGUS/SMM cases to intensively study and follow over time as a cohort. The Dream Team will study this cohort in an effort to define biological characteristics that will help to identify which patients will benefit from particular therapies. These biological characteristics include inherited mutations, acquired mutations, and immune factors. The Dream Team will also identify lifestyle and demographic factors that contribute to disease progression, such as obesity and race. The Dream Team will use this information to develop new therapeutics that that can be used to prevent MM from progressing. These include novel technologies of nanoparticles for better imaging of early disease and the first personalized neoantigen vaccine study for the population of patients screened. Together, these studies promise to change the landscape of myeloma diagnosis/screening and early prevention and interception of this disease. These studies will not only lead to better molecular markers that predict progression but also define therapeutic options that will make MM a preventable or possibly curable disease. Founded in 1907, the American Association for Cancer Research (AACR) is the world's first and largest professional organization dedicated to advancing cancer research and its mission to prevent and cure cancer. AACR membership includes 40,000 laboratory, translational, and clinical researchers; population scientists; other health care professionals; and patient advocates residing in 120 countries. The AACR marshals the full spectrum of expertise of the cancer community to accelerate progress in the prevention, biology, diagnosis, and treatment of cancer by annually convening more than 30 conferences and educational workshops, the largest of which is the AACR Annual Meeting with more than 21,800 attendees. In addition, the AACR publishes eight prestigious, peer-reviewed scientific journals and a magazine for cancer survivors, patients, and their caregivers. The AACR funds meritorious research directly as well as in cooperation with numerous cancer organizations. As the Scientific Partner of Stand Up To Cancer, the AACR provides expert peer review, grants administration, and scientific oversight of team science and individual investigator grants in cancer research that have the potential for near-term patient benefit. The AACR actively communicates with legislators and other policymakers about the value of cancer research and related biomedical science in saving lives from cancer. For more information about the AACR, visit http://www.AACR.org.